Frank Larson, Sr., founded King-Lar Company in 1927 on the basic philosophy that man's success is directly dependent on his willingness to work and study to achieve his goal in life. King-Lar company began as a small furnace and roofing company at 1036 North Water Street in Decatur. An increased demand for custom built sheet metal products made construction necessary of a second building on the west side of Water Street in 1948. By 1956, the North Water Street facilities were outgrown and a new 20,000 square foot office and plant was constructed at 2020 East Olive Street in the northeast industrial area of Decatur, Illinois. 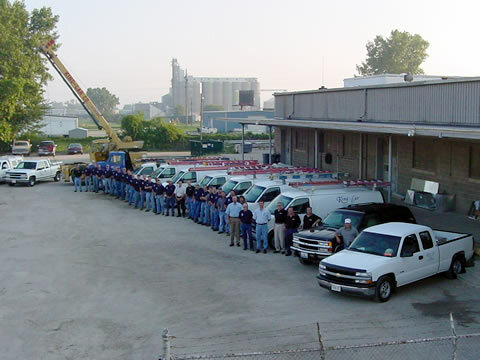 In the following years, another 20,000 square foot facility adjacent to the newly constructed plant was acquired.